Promote positivity and purification into your daily routine with the all-natural, energizing effects of raw crystals. 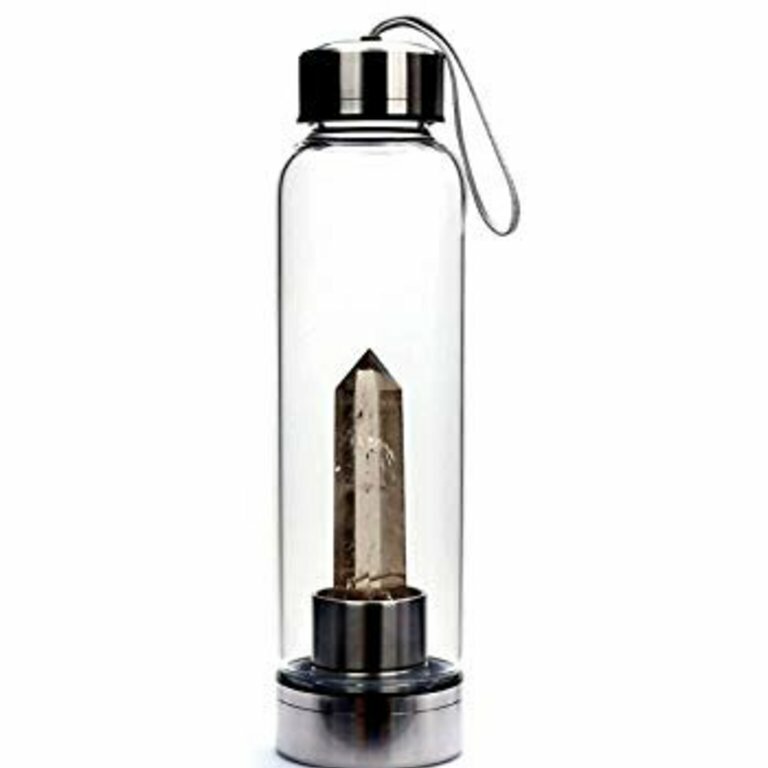 A pure crystal stone is firmly fastened inside each glass bottle, creating an elixir that supports revitalization and clarification of the mind and body. Please Note: Each crystal is one of a kind and may vary in color and size. 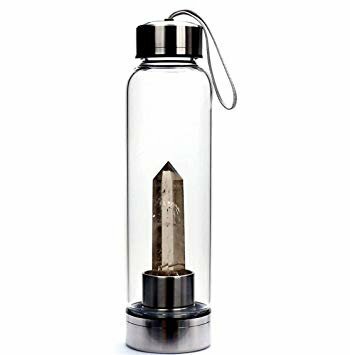 How to Use: Fill your Crystal Infused Water Bottle with room-temperature water. Every time you sip water energized by your crystal, your intention will flow through your body and become more powerful. Smoky Quartz in shades of brown also brings connection with the natural world. It is the color influence of home, hearth, and nature. It helps you relax, reconnect, and regain your composure. It is a grounding stone, promoting security and stability.